What Motivates Us Defines Us. I love listening to Ted Talks. Their motto is, “Ideas worth sharing.” The talk I listened to this morning as I drove to work inspired me to write this post. The speaker asked why the Wright Brothers were first in flight when others who were more educated and better financed ended up being followers, and not leaders, in aviation innovation. His answer was simple. Some people sought to reach the skies for their own fame or fortune; military leaders saw flight as a decided strategic advantage. The Wright Brothers, on the other hand, were motivated simply by a passion to take flight. These humble bicycle shop owners wanted to do something that everyone had long-dreamed of doing, but no one had ever done: take flight in a motorized plane. 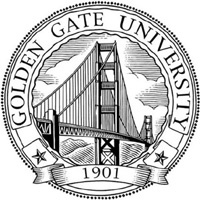 And on a blustery day in 1903 in a place called Kitty Hawk, they did just that, and in doing so they changed the world. Motivation. I believe that what motivates us, defines us. What we do at SHINGLER LAW is what every other plaintiffs’ asbestos law firm does, which is represent people with dread asbestos diseases. How we do this work is not dissimilar from the way other good firms do this work. What sets us apart, however, is why we do what we do. I am not talking about profit or earning a fee here; everyone in a capitalistic economy is motivated to some degree to generate an income so that they may live their lives, and support their families, with some measure of dignity and comfort. We are as motivated as the next guy to keep our practice alive, and thriving. But the why of what we do is what gets us up in the morning and in the office early; it is what gets us here on a Saturday and compels us to travel throughout the country on behalf of the people we represent. The why of SHINGLER LAW, is love and compassion. We know that the diagnosis of mesothelioma or lung cancer strikes fear in the heart of a man, and brings sadness to his family. We know that being diagnosed with a terminal disease will bring despair to a woman, who will worry more for her family than herself. We have witnessed the sorrow, and the pain, and the loneliness that come with the disease, and we want to help. We want to wipe away every tear. We want to do our part, as lawyers and as fellow travelers on this planet, to bring comfort to those who turn to us, and to provide a good measure of financial security to their families. For us, it is about making a promise to a person who is up against it, and then keeping that promise. Who are we? 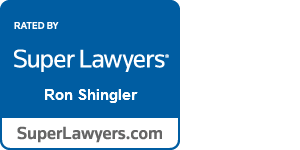 We are SHINGLER LAW. We work hard and we care much. That is what defines us.